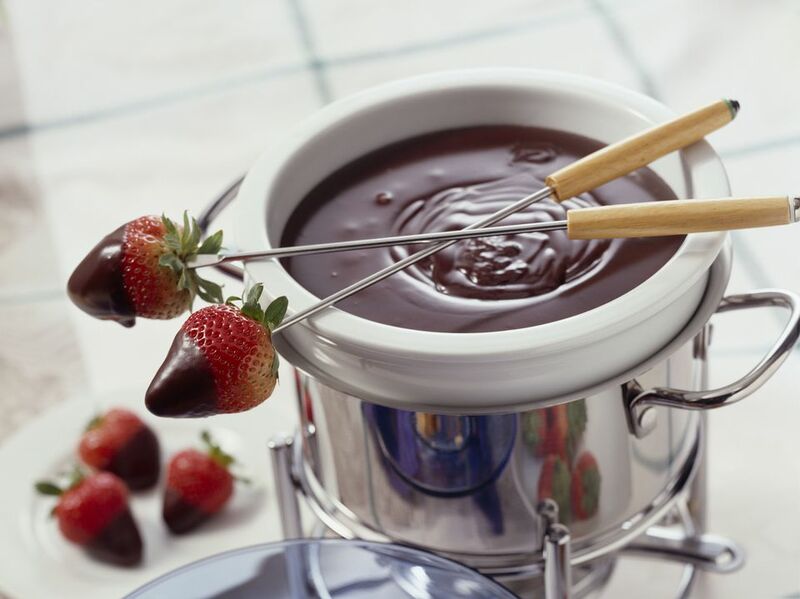 This chocolate fondue recipe is so rich, no one will even suspect that it's vegan. Just be sure to use a vegan chocolate that doesn't contain any dairy products. If you have a Mexican grocer or bakery nearby, pick up some pan dulce (sweet bread) for dipping. If you need a recipe for a dairy-free vegan chocolate fondue, this is the one to try. Melt vegan margarine, vegan chocolate, and soy milk together in a saucepan over very low heat, or use a double-boiler to ensure the chocolate doesn't burn. Once melted, remove from heat, add the rest of the ingredients, combine well and transfer to ​a fondue pot to keep warm. Serve with fresh fruit, pound cake, or sweet bread.